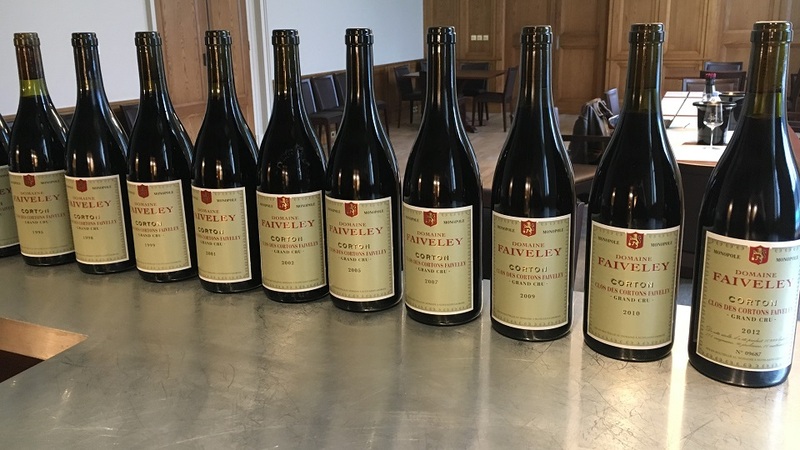 Happily, numerous improvements made by the new regime at Faiveley over the last 12 to 15 years have domesticated the wine’s tannic ferocity and brought its fruit and finesse to the fore. These qualities were made clear during a vertical tasting I conducted at Faiveley’s newly renovated facilities in Nuits-Saint-Georges in December with Erwan Faiveley and Technical Director/Head Winemaker Jérôme Flous, who have piloted this transition. Pierre Faiveley, a cobbler by trade, founded Maison Joseph Faiveley in 1825 in his home town of Nuits-Saint-Georges, naming the company after his son, who was two years old at the time. (The family’s first acquisition of vineyards was in Nuits-Saint-Georges Tribourg in 1832). Joseph took over the firm in 1860, bringing with him a number of vineyard parcels inherited from his uncle. He ran the company for more than 50 years, directing the purchase of top Premier Crus vineyards in Nuits-Saint-Georges as well as the Clos des Cortons in 1873. Joseph’s son François, who predeceased his father, spent much of his time with the company helping the family recover from the phylloxera epidemic that required all of their vineyards to be replanted, beginning in the waning years of the 19th century and lasting well into the 20th century. François’s son Georges ran the family firm beginning in 1919. In addition to being responsible for adding significant vineyard holdings, including Faiveley’s Grand Crus in Gevrey-Chambertin, Georges was the founder, with his friend Camille Rodier, of The Confrérie des Chevaliers du Tastevin, the wine society with headquarters in the Château de Clos de Vougeot and chapters around the world. Georges Faiveley was also responsible for signing a 30-year lease on multiple vineyard parcels in the Côte Chalonnaise that his son Guy eventually purchased when the lease expired in 1963. In turn, Guy’s son François, passionate about wine from a very early age, joined the family business in 1976 at the age of 25 and subsequently expanded the family’s vineyard holdings. Over the same period he was an active shareholder in the family’s Faiveley Transport firm (established in 1919), which grew dramatically in the 1980s as it signed major contracts to supply brakes, doors and other key train parts to France’s TGV service, as well as to train systems around the world. (The American manufacturer Wabtec purchased a controlling stake in Faiveley’s company in 2016, although the Faiveley family remains the largest single shareholder). Erwan Faiveley, who arrived in Nuits-Saint-Georges for the harvest of 2004 and soon decided to stay, represents the seventh generation at Domaine Faiveley. Once Erwan concluded that the family wine business was his future, his father François decided to move to Switzerland and to devote more time to running his other business interests (and to enjoying his boat), and so Erwan took over as Chairman and General Manager of the family’s wine operations at the age of 25. In early 2006, Erwan brought in Bernard Hervet, who had just left his CEO position at Bouchard Père et Fils, initially for advice on a labeling issue (at the time, the Faiveley family had never denoted Domaine Faiveley on their labels) and to observe the 2006 harvest. It quickly became clear that Hervet, who had previously guided Bouchard Père & Fils (and Domaine William Fèvre in Chablis, which the Joseph Henriot family bought in 1998, just three years after purchasing Bouchard), had the perfect background of tasting skill and managerial experience to help Faiveley achieve his objective of making Burgundies with more silkiness and refinement. Hervet subsequently served as a consultant—and putative General Manager—from 2007 through 2015, even running the company for 18 months during 2010 and 2011 when Erwan took time off to get an M.B.A. at Columbia University in New York City. In short order, Hervet and Faiveley hired Jérôme Flous as Technical Director/Head Winemaker in 2007 to put their new strategy and winemaker philosophy into place, giving him the additional responsibility of managing the vineyards. Later on, Erwan’s sister Eve Faiveley joined the company in 2014 with responsibility for directing marketing communications and hospitality. Under Erwan Faiveley’s leadership the estate purchased Domaine Dupont-Tisserandot in 2013, and its 20 acres of vines in Gevrey-Chambertin provided Faiveley with the motivation to build another cellar in the zone artisanale in Nuits-Saint-Georges. 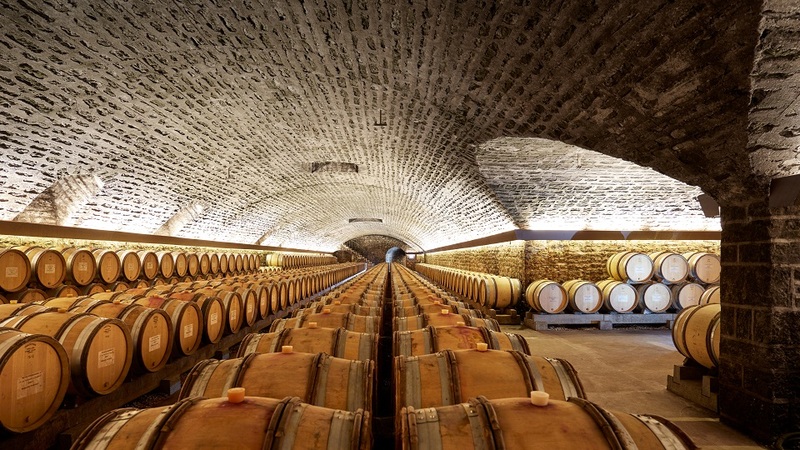 At the same time, the company totally renovated its original headquarters and winemaking facilities in the center of town to handle its Grand Crus and top Premier Crus; the new cuverie and totally renovated barrel cellars were officially unveiled last June. Faiveley subsequently directed the purchase of Domaine Billaud-Simon and its roughly 20 hectares of vines in Chablis, including a number of the best Grand Cru and Premier Cru sites in the appellation. 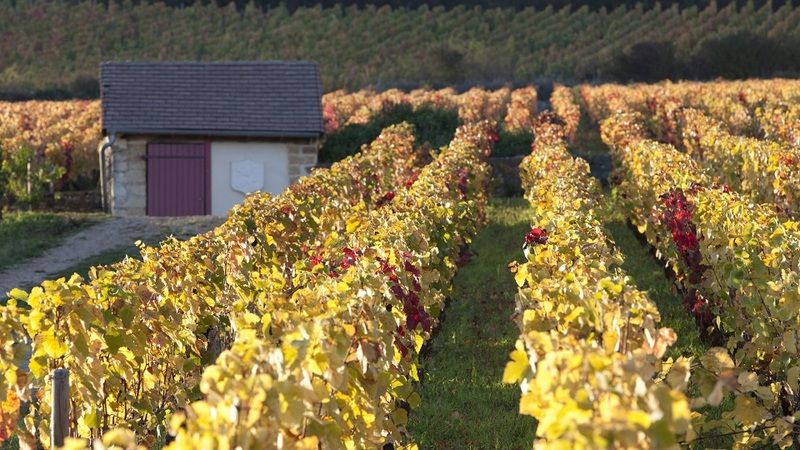 Today the Faiveley family is one of the largest vineyard owners in Burgundy, with about 110 hectares of vines. The Faiveleys also have a négociant operation, vinifying another 50 hectares’ worth of vines as well as buying and labeling small quantities of Bourgogne Rouge and Blanc. Faiveley’s Corton Clos des Cortons is the flagship Grand Cru holding at just over three hectares. 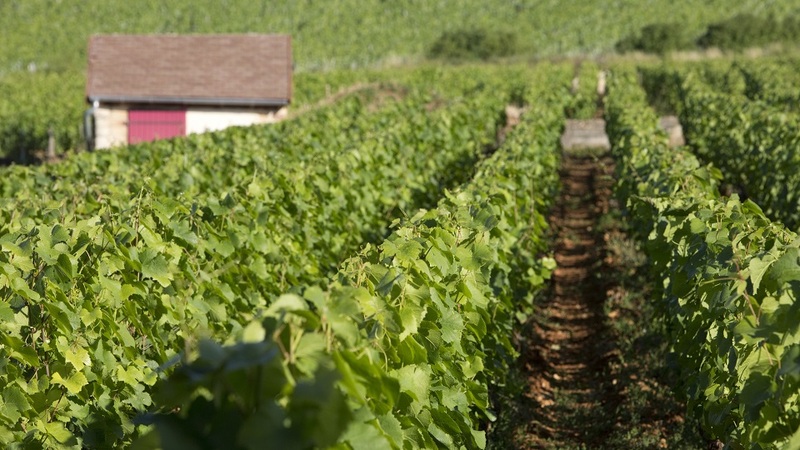 (Faiveley’s largest cru holding is their four hectares in the Premier Cru Gevrey-Chambertin Les Cazetiers). This east-facing vineyard possesses significant historical value. It has been owned by the Faiveley family as a monopole since it was purchased in 1873 in a lieu-dit known as Le Rognet et Corton, which lies just northeast of Corton Les Renardes, in the village of Ladoix-Serrigny. Incidentally, if you follow the border between Ladoix-Serrigny and Aloxe-Corton farther up the slope into the Hautes-Côtes, the land above Ladoix is classified as Hautes-Côtes de Nuits, while the land just beyond the famous forest of Corton is Hautes-Côtes de Beaune. The Clos des Cortons Faiveley is one of just two Burgundy Grand Crus to carry the name of its owner—the other is Romanée-Conti—but that was not originally Faiveley’s idea. When the INAO (Institut National de l'Origine et de la Qualité) created Burgundy’s classification of vineyards in 1934, each village established its own syndicat, with a chairman who was responsible for proposing a classification for the village. Jean Latour, the chairman of the local syndicat (the Latour family is still the largest owner of Corton Grand Cru), demanded that Faiveley stop using the name Clos des Cortons, which was technically the name of the holding at the time of its original purchase in 1874, in order to avoid confusion. After all, Latour argued, Faiveley’s property was not the only clos on the Corton hill. But following a long and complicated legal case involving a series of appeals, a compromise was reached in 1938, when France’s top court granted Faiveley the right to use Clos des Cortons on the label provided that “Faiveley” was appended to the name on the label. This raises an interesting hypothetical question: If the Latour family purchased a piece of this holding, would they have to name their wine Domaine Louis Latour Corton Clos des Cortons Faiveley? The original parcel that Faiveley purchased was entirely planted to Pinot Noir. The most recent replanting of Pinot Noir vines took place in 1985 and the oldest remaining vines date back to 1949, giving the Clos des Cortons an average age of 48 to 50 years, according to Erwan Faiveley, who noted that the estate just pulled out another 0.3 hectare of very old vines this past fall. Roughly two-thirds of the vines in Clos des Cortons are still sélection massale. In 2010, Faiveley replanted about a quarter of a hectare of vines at the top of their parcel to Chardonnay, as the Pinot vines here were in bad shape and he also wanted to add some more Chardonnay to the family’s 0.6 hectares of Corton-Charlemagne. (Roughly one hectare at the top of the Clos des Cortons, planted on mostly calcaire, is legally entitled to be bottled as Corton-Charlemagne). Beginning with the harvest of 2017, these new vines are adding a single barrel’s worth of wine to the estate’s Corton-Charlemagne. The much larger Pinot portion of Clos des Cortons is on soil characterized by ferruginous oolites (oolites are a type of sedimentary rock, usually limestone, formed from spherical grains composed of concentric layers) and white marl. François Faiveley was known for harvesting on the late side, Erwan told me before we attacked a procession of vintages in December. “That may have sacrificed some character of terroir and resulted in a loss of energy in the wines,” he added. The wines made during his father’s 30 years of running the firm were sometimes heavily extracted and were typically very tannic and tough in their youth, requiring long bottle aging to shed their forbidding austerity. While they established an impressive track record for longevity, they were less palatable to a new generation of Burgundy lovers, which is a primary reason why Erwan quickly brought in a new team. While Bernard Hervet did not recommend any major changes in Faiveley’s white wines, other than reducing the percentage of new oak, he and Faiveley concluded that too many of the barrels used for Pinot Noir at Faiveley had not been properly seasoned, and that this sub-par cooperage was adding green tannins to what were already tannic wines—and none more so than their Clos des Cortons. (I recall Hervet taking me into the Faiveley barrel cellar one evening at the end of a tasting in November of 2007 for a “bad barrel tasting,” to make his point). The decision was quickly made to eliminate these poorly made barrels, which had been purchased by an ex-financial director seeking to minimize costs, and to buy exclusively from François Frères and Taransaud. Hervet also convinced Faiveley to move up his harvest dates a bit in order to achieve more precision of fruit and finesse. Hervet recently explained his theory to me for choosing the right picking date in Burgundy: “It’s really very simple. When in doubt, in a great terroir pick two days earlier and in an average terroir pick two days later.” But Flous told me that following the departure of Hervet in 2015, he is now once again picking a bit later. As Erwan explained, “today we never compromise on our top wines; these vineyards need to be harvested on precisely the right date.” And with a team of 36 pickers, Flous can harvest the Clos des Cortons in two and a half days, though not necessarily consecutively. Among the key changes that the new regime made in the winery was the adoption of a gentler vertical press that did not crush the seeds and release bitter tannins, and a return to working by gravity. Erwan told me that his father had purchased a heat exchanger made in Italy that essentially required the fruit to be forced through a long tube in order to cool it down. But what came out, he said, was essentially “a mush of juice, seeds and skins.” This device was used from 1995 through 2006, and Erwan believes that the profile of the wines during that period was especially “tannic and robust” as a result. While this system allowed for a longer pre-fermentation cold maceration and in theory helped to fix color and fresh aromas, his father’s fermentation vats did not have temperature control. During hot harvests, the fermentations could be uncomfortably warm, quick and tumultuous, said Erwan, ultimately burning off the aromas that had emerged during the cold maceration, and requiring more post-fermentation maceration to get enough color and tannins, sometimes at the expense of fresh flavors. Erwan switched to oak fermentation vats, which he believes are particularly constructive for the integration of tannins in the Clos des Cortons. “Nowadays we just put the harvest by gravity into the temperature-controlled vats, with all of the berries intact,” he explained. “The fermentations take three or four days to start and the total cuvaison lasts anywhere from two to four weeks, with no recipe. The length of the cuvaison is pretty much the same as previously but the profile of the fermentation temperature is different,” rising no higher than 34 or 35 degrees C. (In his father time’s the temperature could mount to 40 degrees, according to Erwan). Erwan noted that the Clos des Cortons fruit has always been destemmed because its tannin levels were already so high. He also has a distinct preference for wines that are more approachable early on. “Tannins are necessary when you drink the wines with a meal,” he explained, “but so many of today’s Burgundy buyers like fruits, flowers and softness,” he told me. He pointed out that he has done experiments with whole-cluster fermentation in recent years and has found this approach constructive for his wines from Chambolle-Musigny and Mercurey. But it hasn’t been a success in Corton or Gevrey-Chambertin, he added, as these wines are generally powerful enough without any help from stems. While the number of pumpovers and punchdowns during the fermentation is essentially the same as it was prior to the mid-2000s, winemaker Flous has reduced the number of rackings in order to avoid drying out the wine. The press wine is normally included in the blend but is softer and less tannic now. In recent years the bottling of the Clos des Cortons has taken place during the second February or March, with the wine lightly filtered or fined only when deemed necessary. 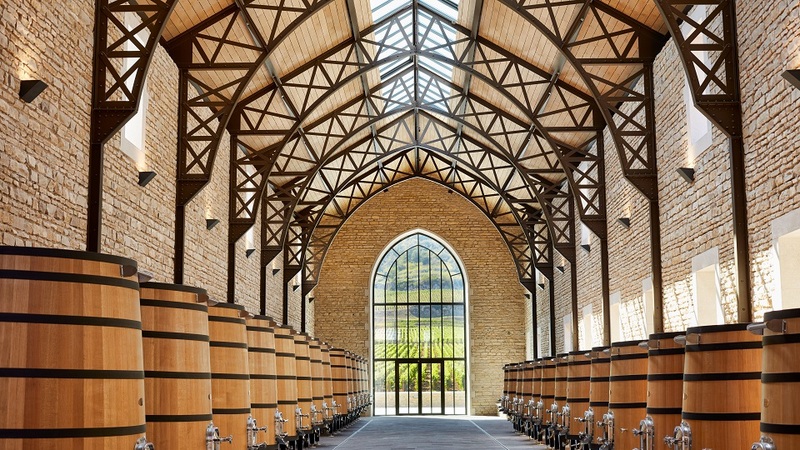 The wines of François Faiveley routinely stood out for their structure and durability. Today’s suppler wines are clearly less forbidding early on, but, as with the wines from so many other thoughtful producers working with controlled yields and clean fruit, they appear to have the balance and the material to support graceful evolution in bottle. Still, the Clos des Cortons is a big boy. On many past occasions, I have compared young vintages to clarets, even to Pauillacs, owing to their tannic architecture and early austerity. In fact, in fully ripe years their tannin levels have been roughly equal to—and sometimes even higher than—those of the first growths of the Médoc. The massive young 2015 Clos des Cortons is a classic example of this style, but it has the sheer density of material and velour-like texture to carry its powerful tannic load. The Clos des Cortons has always been quite savory and soil-driven, not to mention uncompromisingly dry. While I have long found this wine to show a distinctly dark fruit character, the tasting revealed that vintages since 2007 have shown a somewhat redder fruit quality, likely due to earlier picking, gentler handling of the fruit and cooler, more even fermentations. Hervet ventured the opinion that no other cru on the Côte de Beaune is capable of aging as long as the Clos des Cortons, with the exception of Volnay Santenots. He added that the wine is often monolithic in its youth, but owing to its color, depth and high quality of tannins, after gaining complexity in bottle for 20 or 30 years “it becomes a classic Grand Cru of Burgundy expressing the aromas of the vintage and of Pinot Noir.” That’s a long time to wait, but today’s young wines typically project an element of sweetness and a three-dimensional texture—older vintages tended to be more vertical in their youth—that prevent them from hurting your mouth.